Through support and innovation, Gemini has helped DJs grow since the 1970s. And after decades of evolution, Gemini’s FirstMix USB DJ Controller offered the most intuitive digital DJ solution ever, providing aspiring DJs with a practical feature-set that helped them learn and refine the necessary skills. Now, Gemini has designed a controller to help them take the next step: the FirstMix I/O. Featuring a built-in soundcard and rotary pitch control, the FirstMix I/O picks up where the FirstMix left off, taking functionality a few steps further. Mix, mash and manipulate with your iTunes library. FirstMix I/O interfaces with your PC or Mac via a standard USB connection, so you can easily use the included MixVibes Cross LE software to choose songs from your existing collections, even your iTunes Library. Offering an impressive level of control, MixVibes Cross LE acts as a natural complement to the FirstMix I/O hardware with integrated iTunes browsing, automatic BPM detection and manual/auto beat loop capabilities. You can even use the software to record your mixes then share your creations on SoundCloud or Facebook. Classic feel and contemporary control. Thanks to its clever design, FirstMix I/O lets you easily navigate folders and tracks using the Browse function. Once a file’s been loaded, use the touch-sensitive jog wheels to simulate the effect of scratching or alter the pitch of a track. For a natural, familiar feel, FirstMix I/O employs the popular setup of two decks and a mixer. The central mixer section provides independent features for each deck, allowing you to tweak the Gain, Treble and Bass for individual tracks. FirstMix I/O also offers a variety of effects, which can be incorporated for additional creativity. After all, giving your mixes that extra unique flavor helps set your performances apart. A new level of intuitive features. To help you become familiarized with the arsenal of functions used by world-renowned DJs, FirstMix I/O features a built-in soundcard with separate Master and Headphone outputs to preview and cue your tracks before you drop them. And for enhanced command over beat matching, the unit also sports rotary pitch control. But if you want to match the tempos of your tracks quickly and effortlessly, the Sync function gives you the ability with one-touch operation. Even if you’re a veteran DJ seeking a portable digital solution for parties and impromptu performances, FirstMix I/O gives you a lightweight, highly functional option. Set the mood at any event and get your friends dancing! With the FirstMix I/O and a laptop, you have everything you need to craft a spontaneous DJ set. Introducing DJs to the same professional features used by world-class performers has never been easier. Like any talent, learning to DJ takes the right tools and practice – and FirstMix I/O gives you a dynamic tool that makes practice fun and productive. Considering purchasing the Gemini FirstMix I/O USB MIDI DJ Controller with Soundcard ? Have questions? Ask people who've recently bought one. Do you own the Gemini FirstMix I/O USB MIDI DJ Controller with Soundcard ? Why not write a review based on your experience with it. Nice Midi not the best though. This is a middle of the road deck, it isnt the best one I have used but surely isn't the worse. Its got a simple layout. 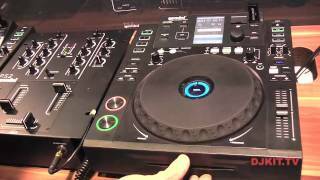 Seen a video for Gemini FirstMix I/O USB MIDI DJ Controller with Soundcard online or have you own video? 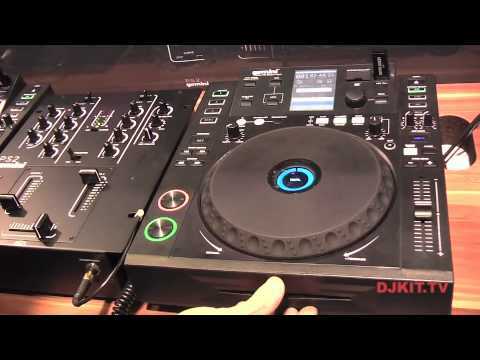 Check out Gemini FirstMix I/O USB MIDI DJ Controller with Soundcard on DJkit.com!